Hello! It's Saturday and time for another sketch from The Sweet Stop! This week is the sketch with a spin and prize! 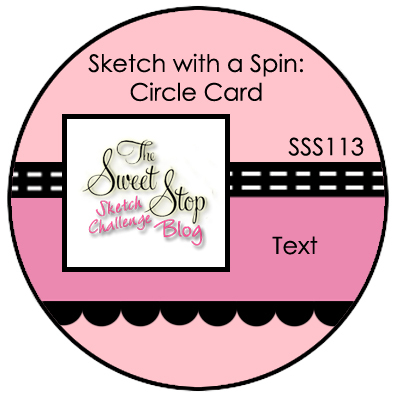 The spin this week is to make a circle card. This was a fun little card to make. Thanks for stopping by and I can't wait to see all your circle cards this week. Janice, this is FABULOUS!!! Love the chocolate covered strawberry! YUMMY looking card!! Very pretty, Janice. Love all the plaid and the red/brown combo. Sweet! Janice, love your chocolate covered strawberry! What a Yummy Card! 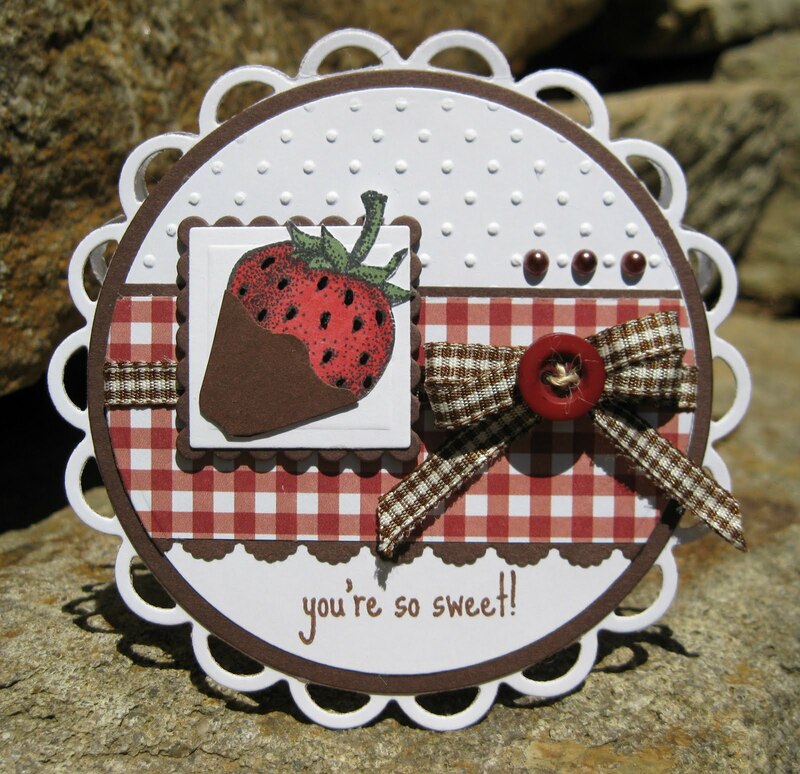 Love your chocolate covered Strawberry and the Wonderful Color combo you chose! love your round card, that is one card I have trouble making, but I will give it another try for the challenge!!! Such a cute card! Love the plaid and that yummy strawberry!! Yummy card Janice. That strawberry looks good enough to eat! Love the color combo. Oh this is so cute!!! I love it! !